Oli Treurer, extra virgin Olive oil D.O. 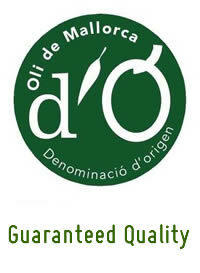 Only quality olives Arbequina mechanically processed unfiltered, this first class Majorcan Olive Oil has been mechanically processed. 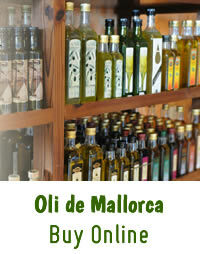 Done from quality olives of Arbequina kind. Its flavor is fruity, spicy and has delicate bitter hints, in general, is a very balanced oil, which is characterized by its great fragrance with hints of almond, walnut and fennel.